My kids ADORE playing dress-up. From the time my Kindergartener was small, his toy chest has housed more costumes than toys. My preschooler and toddler have followed suit, and on any given day, you can almost guarantee that any one of them will be playing pretend with a costume. Dramatic play is SO important for kids, what a great way to learn! From a DIY superhero costume to a princess dress, we’ve done it all. Inevitably, when my kids watch a new movie, they can’t help but act out their favorite characters. 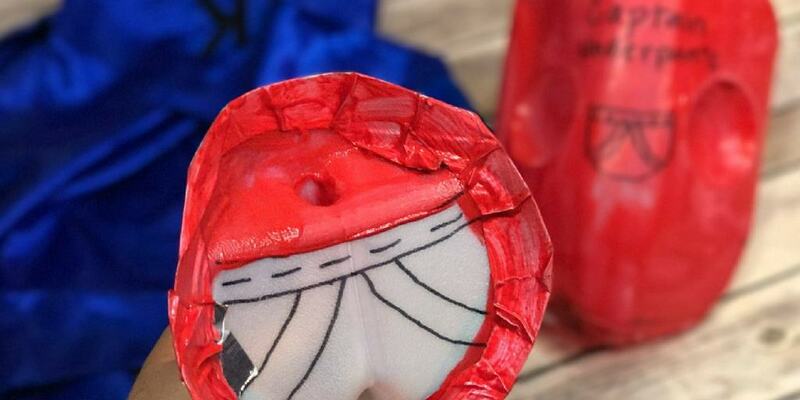 Check out how we used a Tampico juice jug to make our very own Captain Underpants accessories! 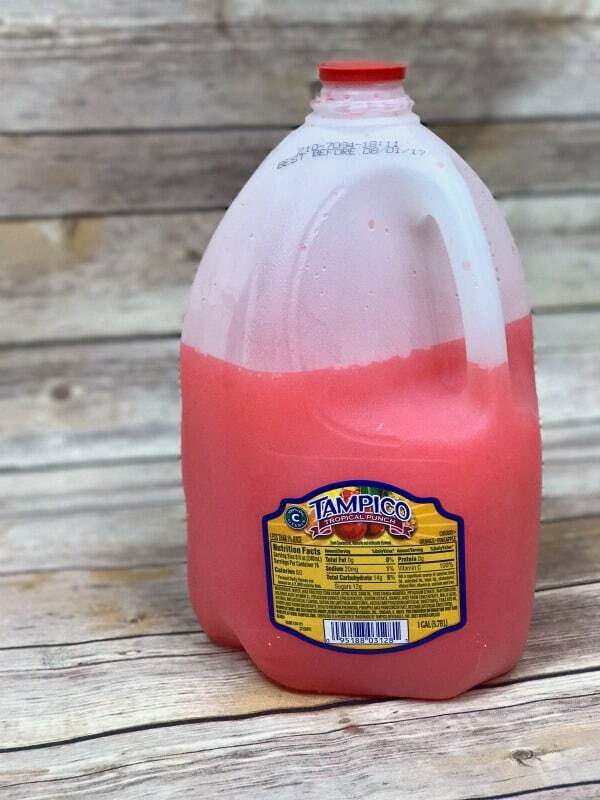 *Disclaimer: This post is sponsored by Tampico in conjunction with DreamWorks Captain Underpants. I received compensation to mention these products in this post. All opinions expressed are my own. Have you seen the commercial for the new DreamWorks’ Captain Underpants movie? My 6 year old thinks it looks quite amazing, and let’s face it, at that age the word ‘underpants’ is quite enticing. 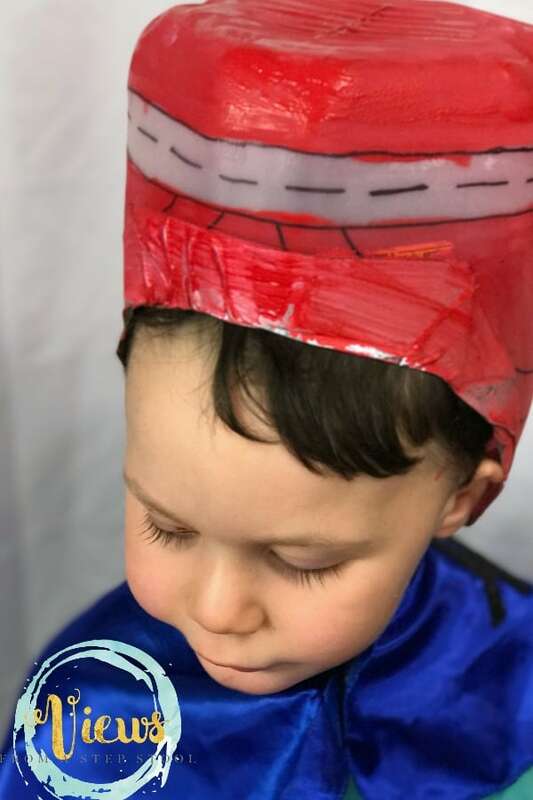 He couldn’t wait to make a Captain Underpants helmet and shield! 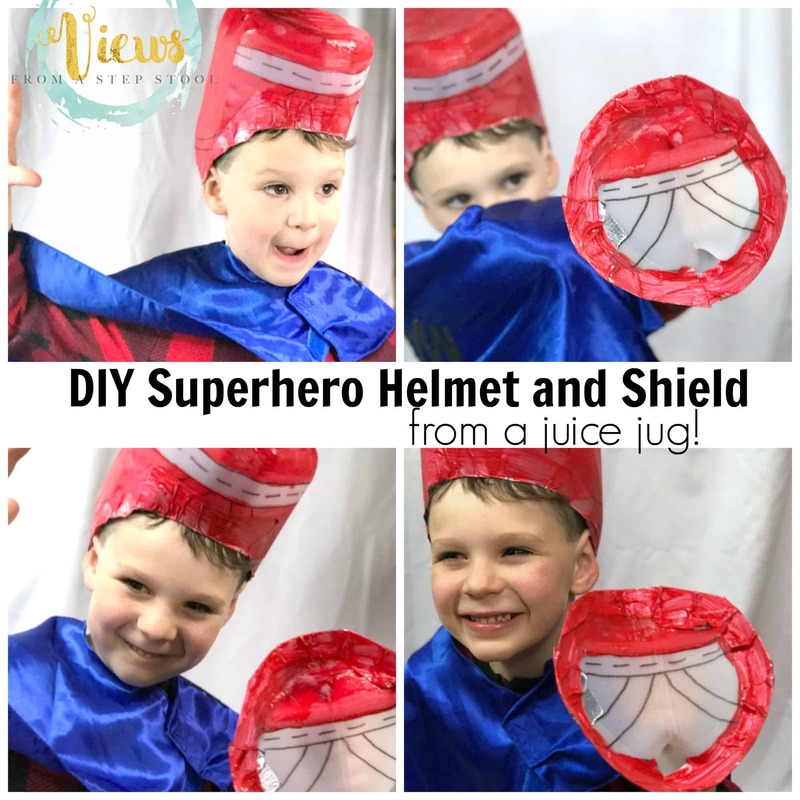 Tampico is our special drink of choice at home (check out our printable invitations and coupons for movie night dramatic play) and the shape of the juice jug was PERFECT for creating our own DIY superhero costume helmet and shield in honor of the movie! 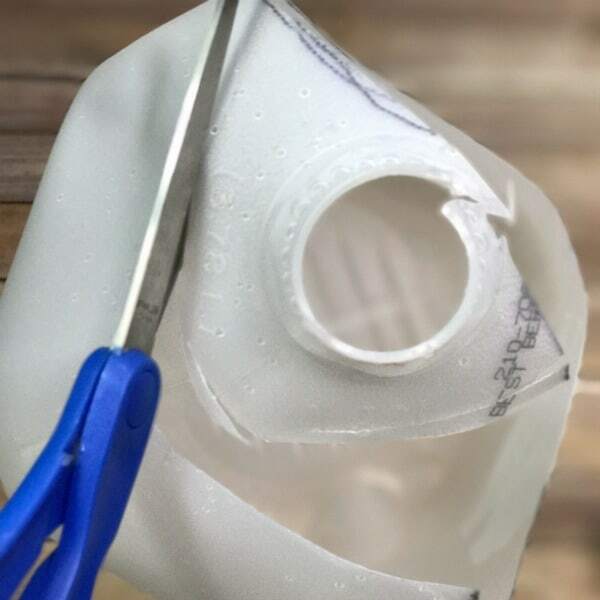 Start by drawing a circle around the handle of the jug. This will act as your shield. 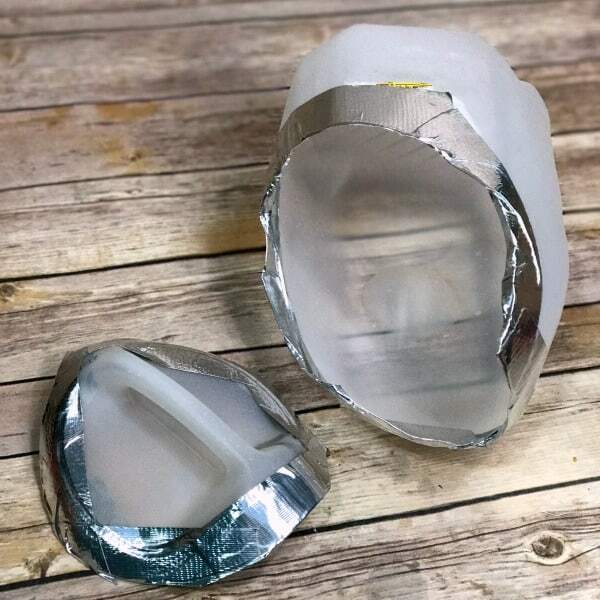 Cut along the circle, separating the shield from the helmet. 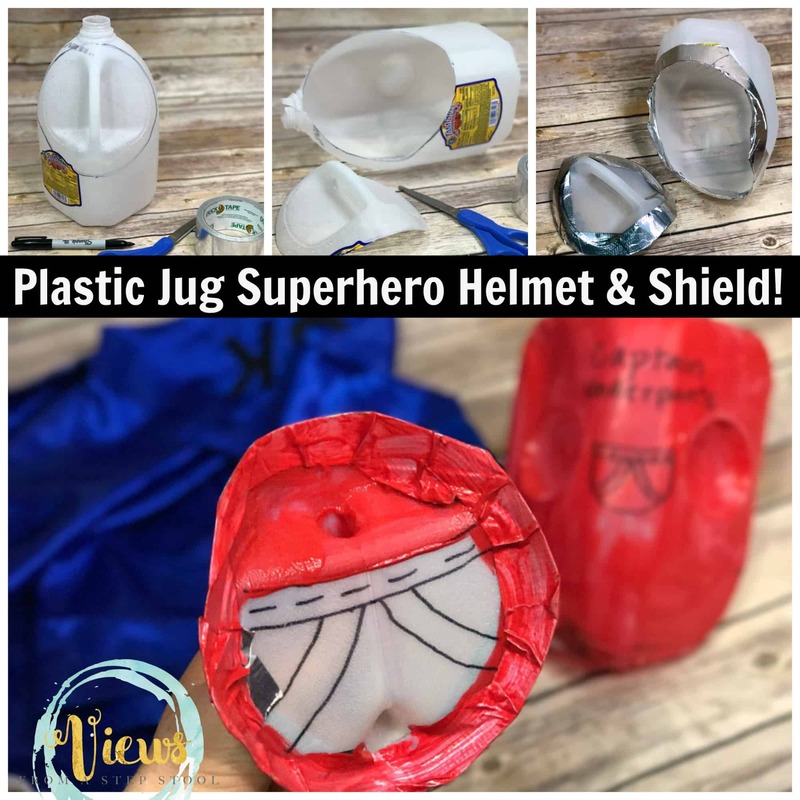 Depending on the size of your child’s head, cut the spout off of the jug (I had to cut up a little higher to fit my 6 year-olds head). 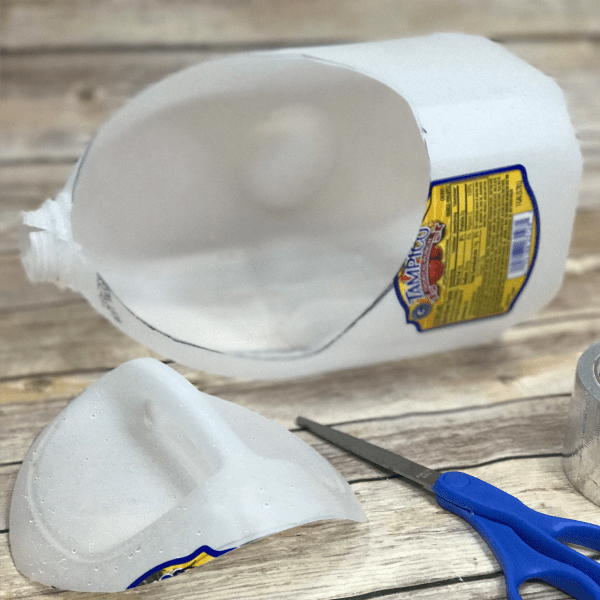 Wrap the cut edges of the Tampico jug with duct tape to avoid any sharp edges. 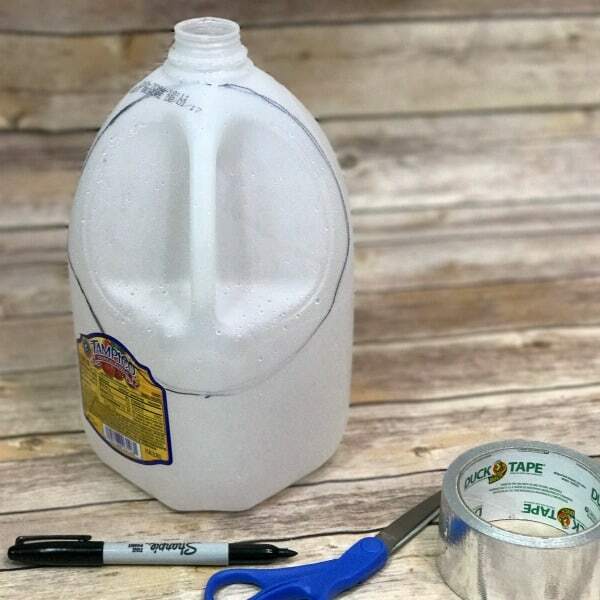 Draw Captain Underpants decor on the jug with a black permanent marker (this will show up under the paint). 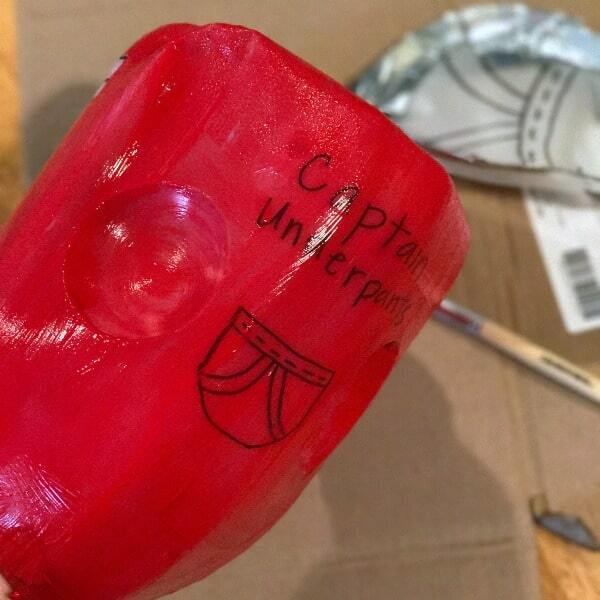 We chose to draw underpants on the shield, and the name and some underpants on the back of the helmet. 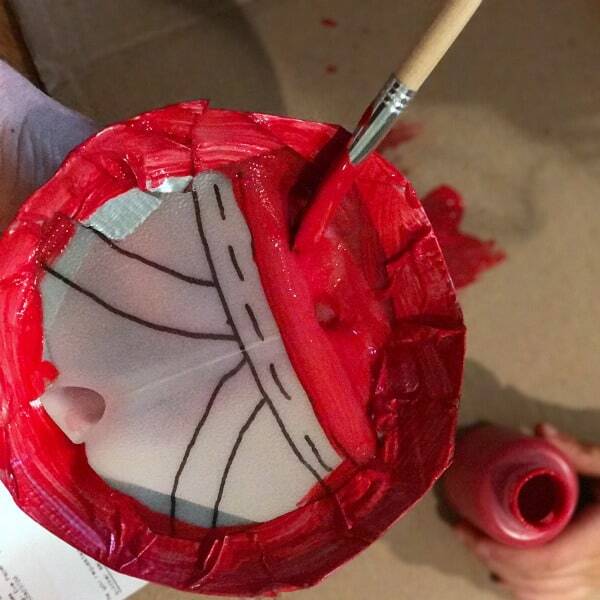 Paint the helmet and shield the color of your choice! 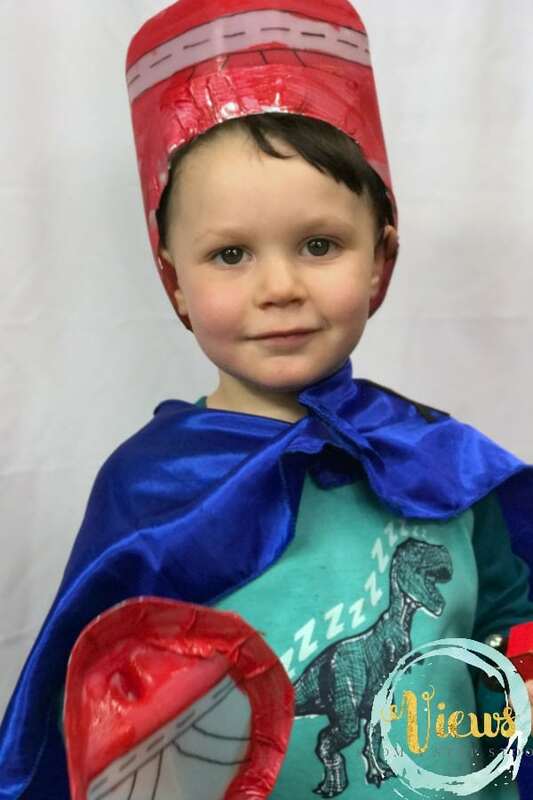 Because Captain Underpants wears a red cape, my son went with red. 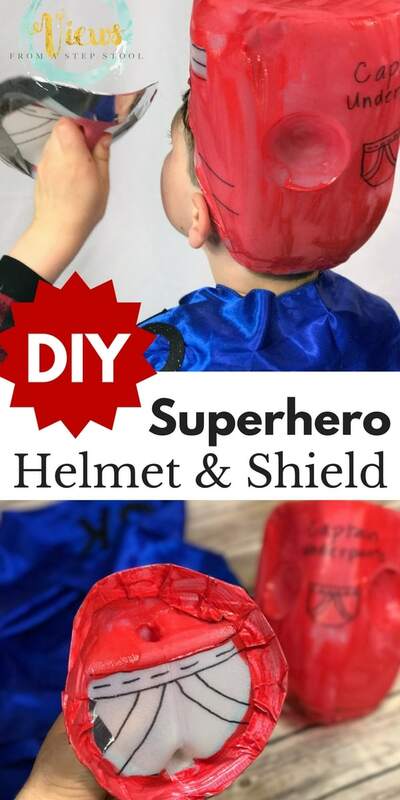 Wear your DIY superhero costume accessories! We played around with dressing these up with a cape and a mask, and my kids got into full superhero-mode. My 2 year old enjoyed these just as much as his older brother did! Can you believe that was all made from a plastic juice jug?! Pretty cool! 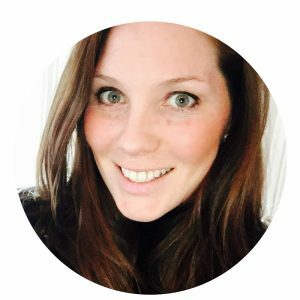 Have so much fun turning into a superhero!